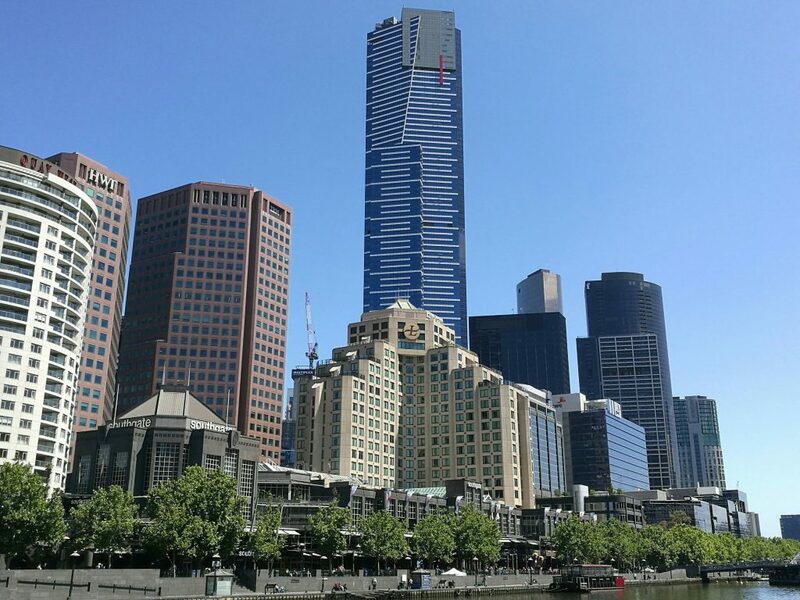 Our whistle-stop tour of the Southern Hemisphere took us to the Melbourne area next. Melbourne, Australia’s second city has been voted ‘The Best City in the World’ to live recently and from a cakes point of view at least, we get it! 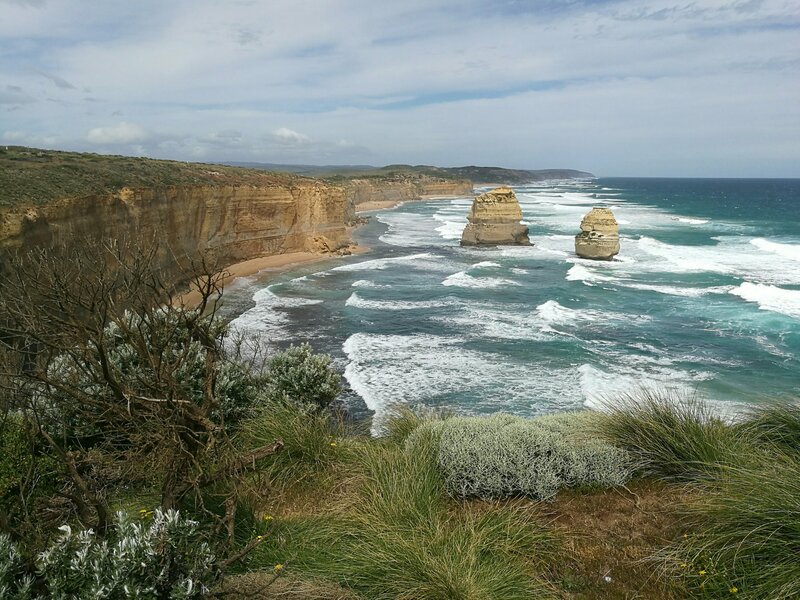 Before we settled down to a week of chilling, we hired a car for a couple of days and took ourselves off onto the Great Ocean Road. Passing through some of Melbourne’s more ordinary suburbs we eventually reached the official start point of the Great Ocean Road in Torquay. 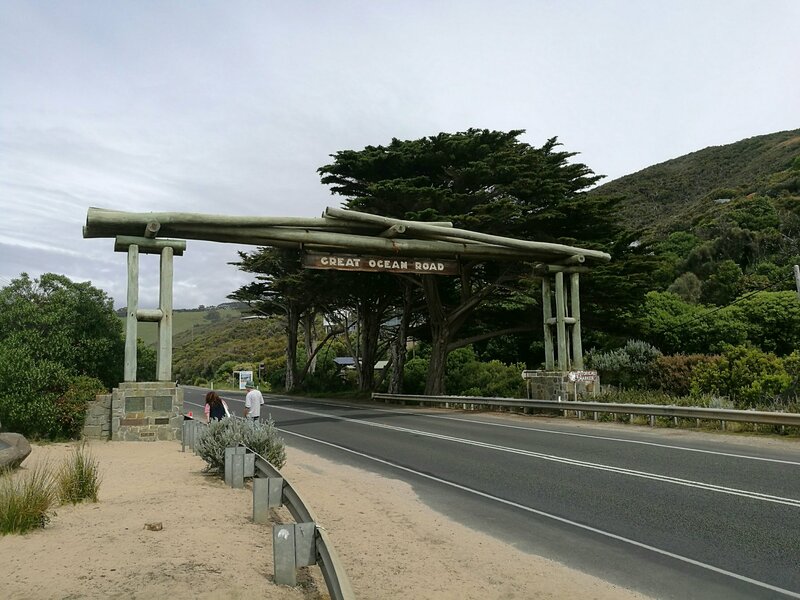 From this point the scenery got more and more impressive as the day went on: Apollo Beach, Lorne, The Twelve Apostles, London Bridge, The Arch, The Grotto. Though all spectacular in their own rights, when viewed in series whilst driving along the coast they really do combine to make the whole route truly breathtaking. 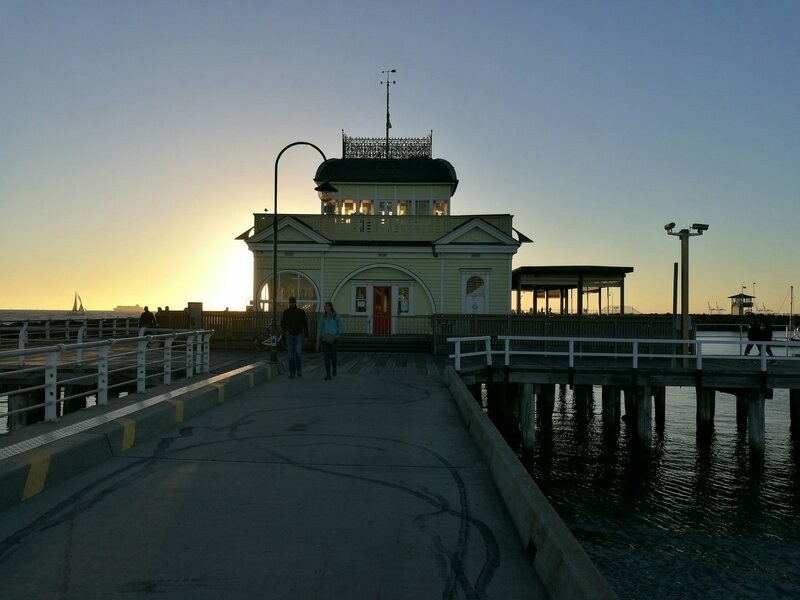 Our route ended for the day at a town called Warrnambool. It’s not a particularly big place, but it’s obviously one of the region’s commercial centres. The trouble is, Warrnambool closes on a Sunday. There were just a handful of places to grab something to eat, but they were either very uninspiring or very expensive. We eventually had to resort to some McNourishment before shivering our way back to our room (Warrnambool was very windy and very cold while we were there). A new day dawned and we headed back towards Melbourne via the Prince’s Highway and Hamilton Highway, passing through seemingly endless swathes of agricultural land and stopping for a coffee break at Inverleigh. The last stretch of the drive took us to what was to be our home for the next six days; St Kilda, apparently Australia’s murder capital. 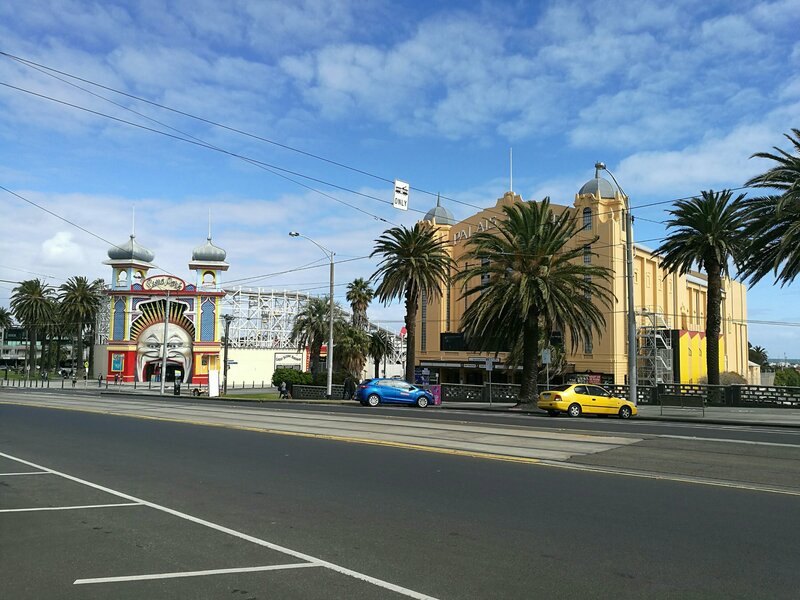 St Kilda is a busy, attractive place; a kind of ‘Eastbourne-on-Oz’, with a vintage fairground at Luna Park, a pier jutting out into St Philip Bay with its own resident penguin colony, the largest theatre in Australia – the beautiful Palais – and long stretches of sandy beaches. There are dozens of great cafés, restaurants and bars centred on Ackland Street and Fitzroy Street and a public transport system that’s second to none – trams, buses and trains, all using a common and inexpensive ticketing system called Myki, a prepaid card system available to buy just about anywhere. Over the next few days we really soaked up the pavement café culture, stopping here, there and everywhere while taking in the atmosphere and watching the ‘peacocks’ revving their Harleys or Maseratis all the while. The girls really didn’t seem impressed as far as we could see. It did provide hours of entertainment for us though. 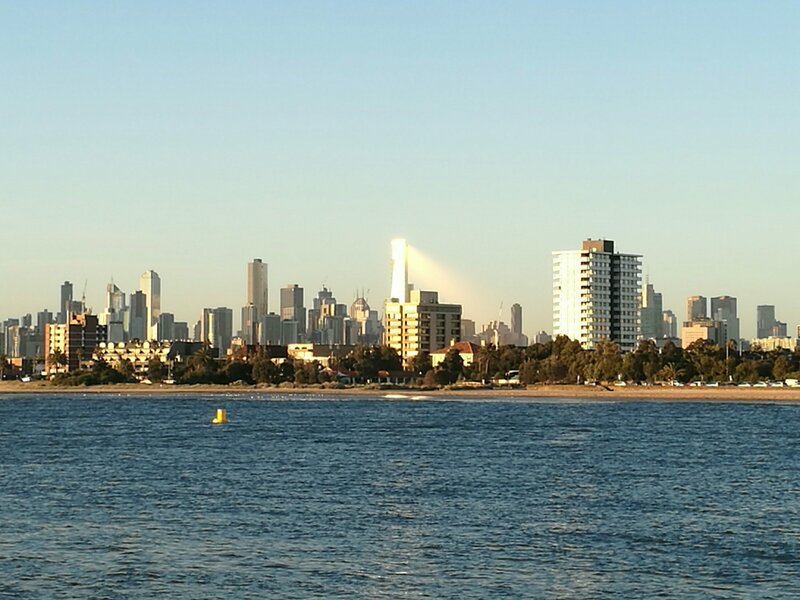 We couldn’t visit St Kilda without popping in to see Melbourne City. Melbourne’s a lovely city – very modern, yet having kept its iconic arcades and street culture. Some of the arcades were an assault on the senses with every kind of food being freshly cooked. 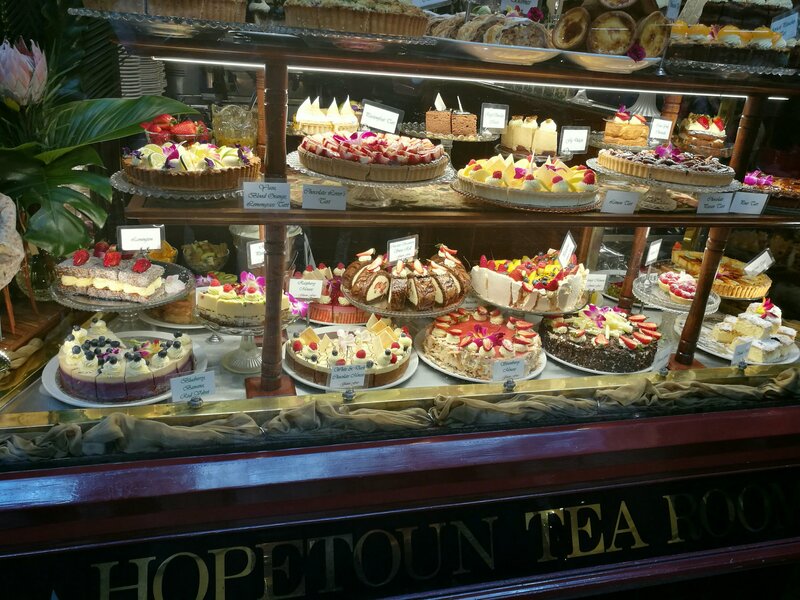 We also saw the famous Hopetoun Tea Rooms, with its quaint and pretty window display. We decided against popping in for a couple of reasons: the thought of queuing for up to an hour and then being subjected to the goldfish bowl arena for the rows of tourist photographers lined up outside the window. Getting around Melbourne is a breeze with free trams for everyone within the city central district. 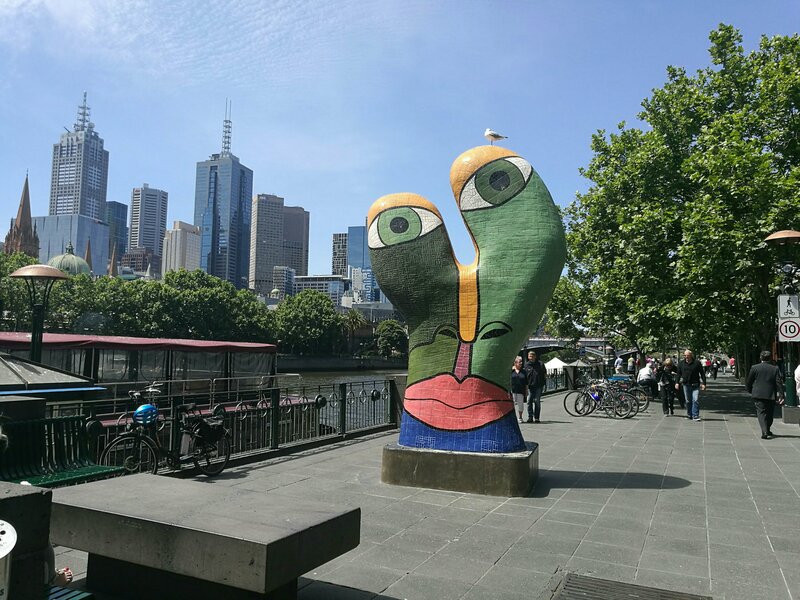 Federation Square is a hub of activity and is on many of the main tram routes and just across the road from Flinders Street station. 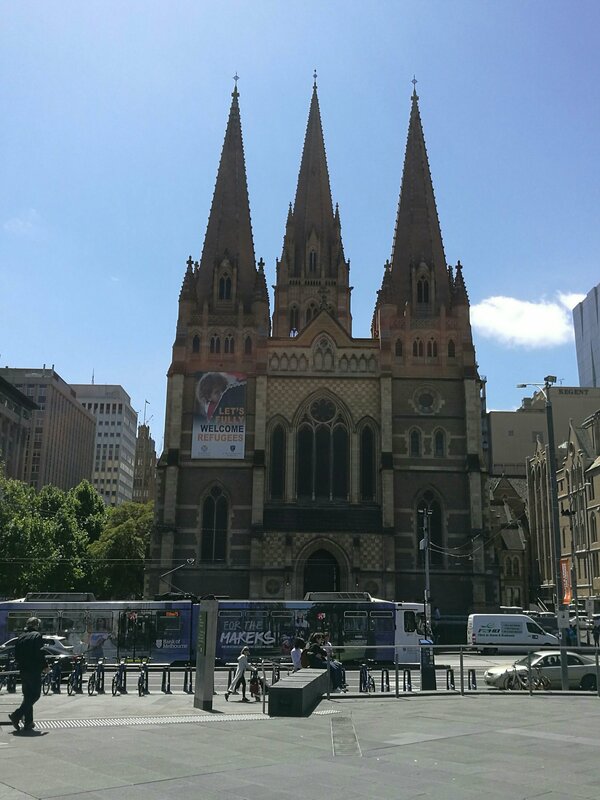 It also has an amazingly diverse architectural surrounding, with St Paul’s Cathedral to the north, The Atrium and precinct to the east, the Yarra River to the south and Swanston street and the old station to the west. Five minutes walk away is the ultra trendy Southbank centre, with its posh hotels, ‘happening’ bars and riverside walks. It’s a lovely place to while away a couple of hours on a sunny afternoon. A five minute tram ride away is the Queen Victoria Market with acres of stalls selling anything and everything. The food court area has an array of different fast food options and the fresh fruit and meats looked so good. Living in a hotel room doesn’t lend itself to cooking fresh steaks, so we walked on by and settled for a delicious freshly cooked noodle lunch instead. Whiling away our remaining time in St Kilda and Melbourne, we walked our little socks off, discovering new watering holes, interesting back streets and seaside promenades. It was a really nice week and we really got a feel for the place before we popped back on our plane back to Sydney to spend our last day in Australia. Dad to 2 grown-up boys and 3 lovely stepdaughters, I'm Mrs C's right-hand man when it comes to keeping the blog and site up and running, maintaining the home and everything within it and cooking the perfect poached eggs for her. I enjoy a good weekend away, a good film on the telly and a good restaurant. I enjoy a good rant when things aren't up to expectation or are playing on my mind. Why Experiences are Better than Things!